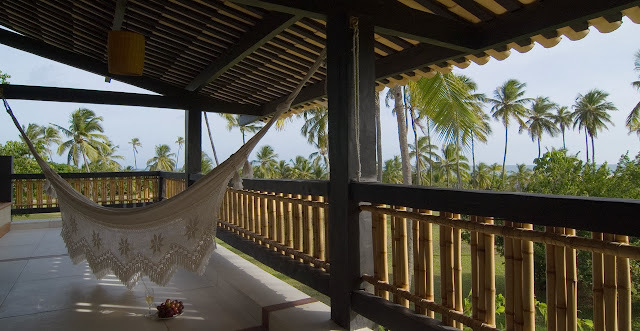 The Coconut Coast is the northern coast of Bahia and attracts many tourists due to its beautiful and tranquil beaches. 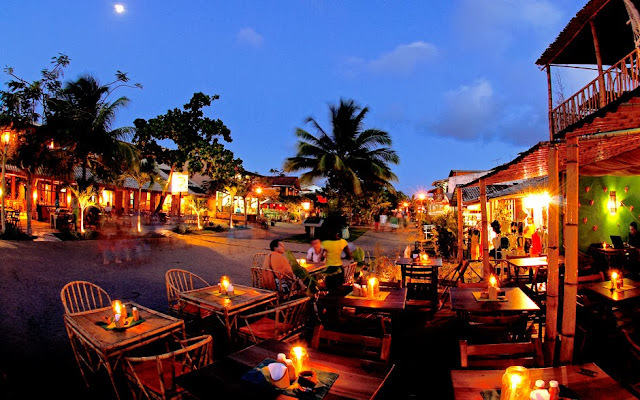 It corresponds to a total of 193 km (120 mi) of coastline, where coconut groves, dunes, rivers, swamps and fresh water lagoons are abundant as well as the presence of the Atlantic Rain Forest. 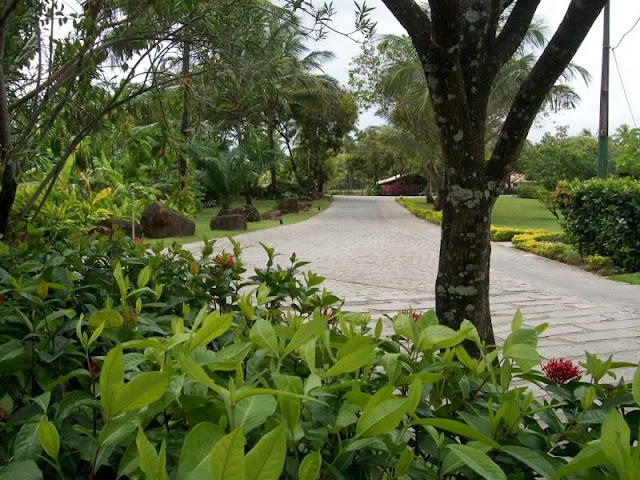 It lies in a region near the capital, a fact which makes its even easier access by proximity to the Salvador Airport (Deputado Luís Eduardo Magalhães International Airport), one of the largest and busiest in the country. 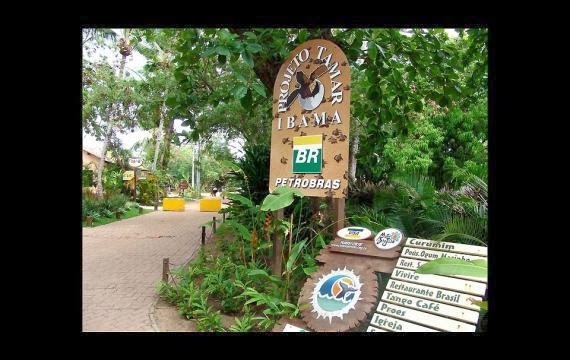 Noteworthy is the district of Costa do Sauípe, Brazil's largest resort, and Praia do Forte, both within the municipality of Mata de São João, and Itacimirim and Guarajuba districts of the municipality of Camaçari. 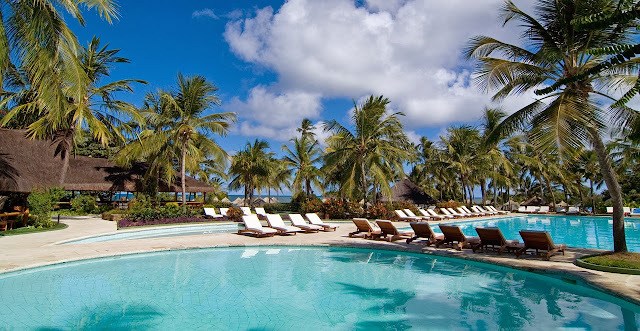 Costa do Sauípe resort is the largest in Brazil, designed from its inception aimed at tourism. 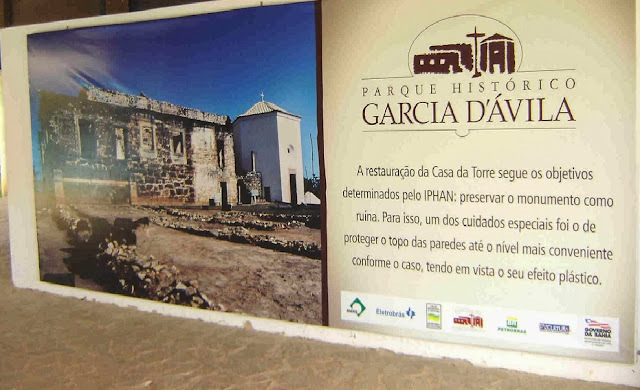 Built within the municipality of Mata de São João, there are few permanent residents in the district due to the high cost of homes on the site and the fact that almost the entire area to be filled by hotels and resorts. (Search: wikipedia). 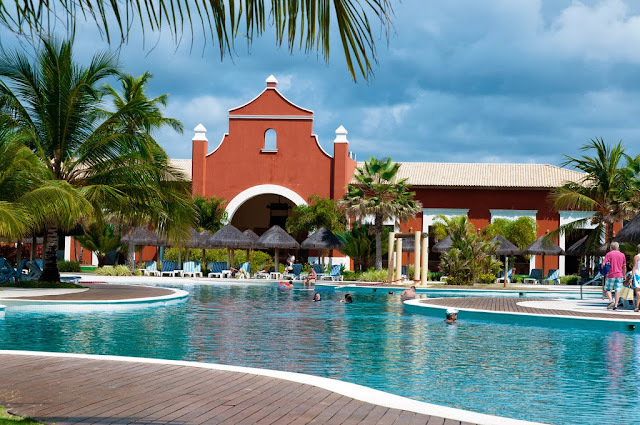 Costa do Sauipe is a hotel complex consisting of five hotels and B & Bs by Sauípe, the location has lodging and entertainment options for all ages and styles. 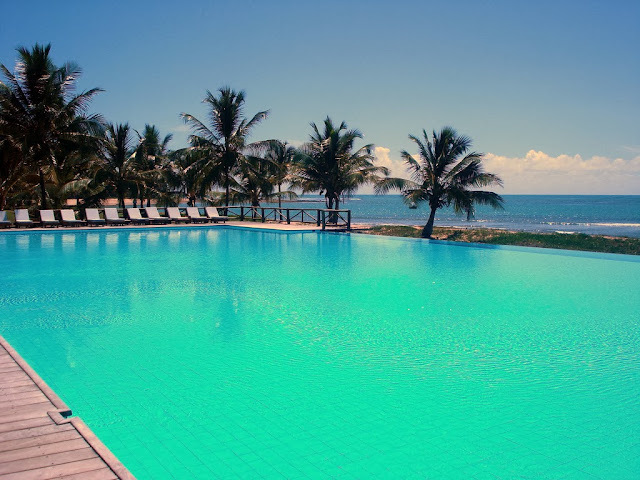 With one of the largest and most complete structures of sports and leisure, Costa do Sauípe offers great gastronomic diversity, numerous cultural attractions, spaces for events and conferences, everything for the guest living really special and unforgettable moments. 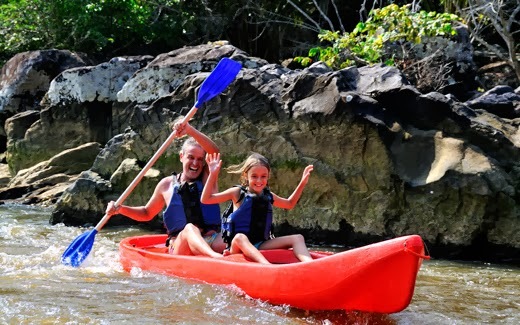 SAUÍPE FUN: It's the ideal option for those who like a lot of joy and fun. 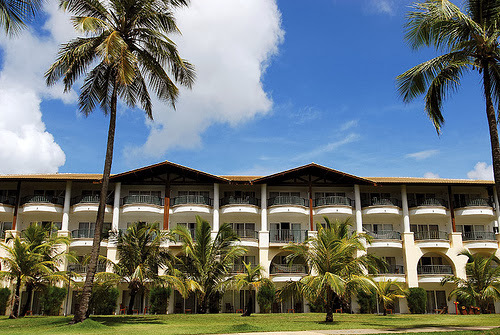 The hotel attracts young families, couples and groups of friends of all ages, with entertainment and recreation options and hectic schedule that ensures your good mood all day. 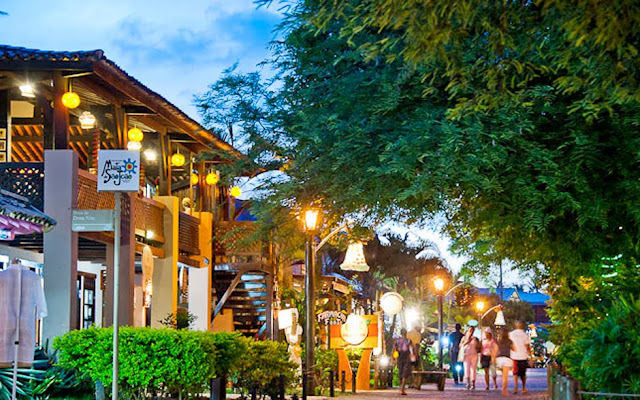 SAUÍPE CLASS: Leisure in a charming location with classic architecture! 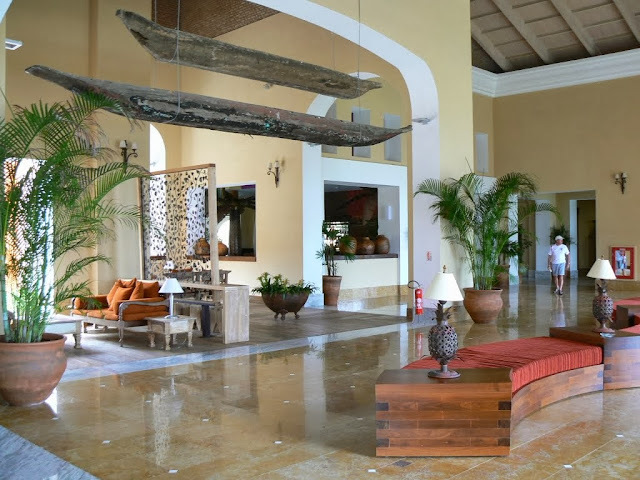 The Sauípe Class joins luxury, comfort and relaxation to ensure a differentiated stay. Its structure is ideal to enjoy unique moments with your family and have fun with the kids. Gastronomic diversity in B & Bs scheme ALL INCLUSIVE. 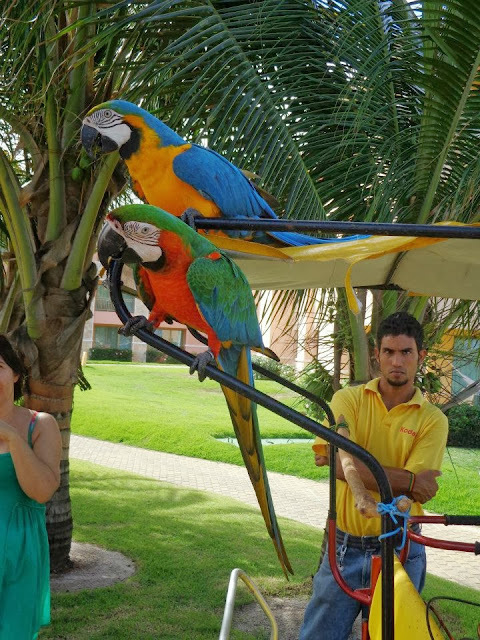 SAUÍPE PARK: Tranquility, peace, quiet and very close to nature! 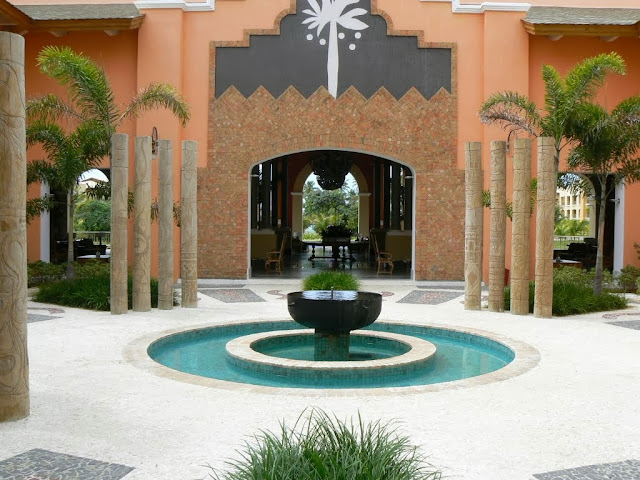 The tropical decor Sauípe Park, combined with its grandeur, luxury and gastronomic diversity, will satisfy even the most discerning guests. These are the main features Sauipe Park. 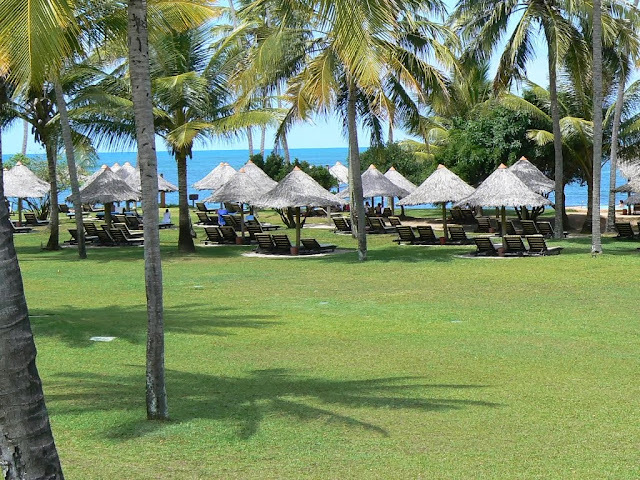 A hotel with lots of green, where calm and relaxation come together for fun and recreation with family or friends. SAUÍPE POUSADAS: B & B built with charm, delicacy, decorated with an extra dose of sympathy, joy and relaxation in the right measure. Faithfully portraying the weather, the mood and energy of Bahia. 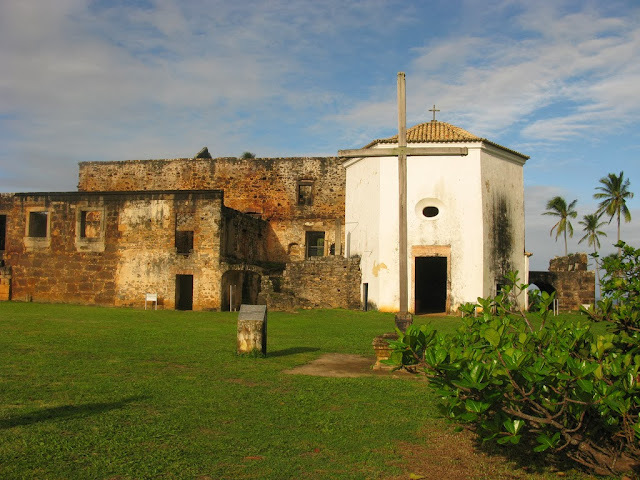 So are the Sauipe Pousadas, a set formed by 5 thematic inns that reflect the living history of Bahia. Very fun and relaxation await you. 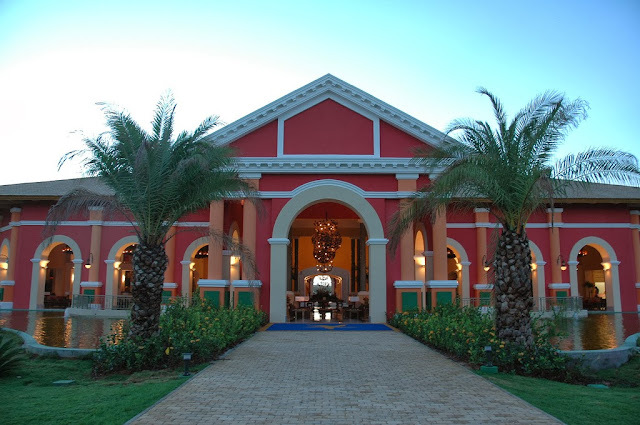 Your stay is complete with a breakfast exquisite strengthened and typical Bahian - included-. With the tasty tapioca assorted fillings, thus ensuring that all our guests have enough to take full advantage of everything the Costa do Sauipe has to offer them energy. 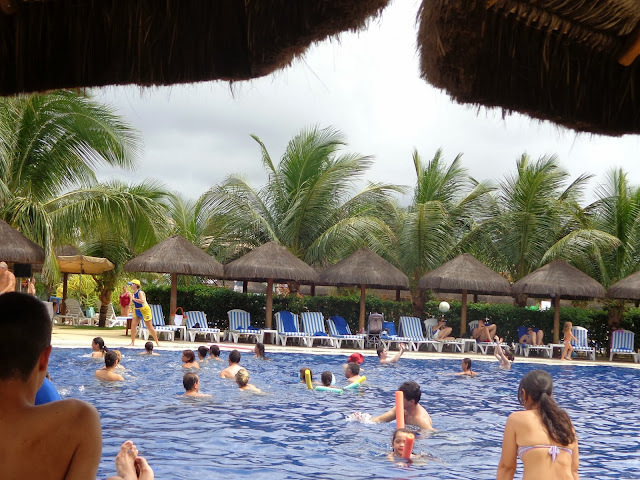 SAUÍPE CLUB: Health, Wellness and sports practices in various modalities. 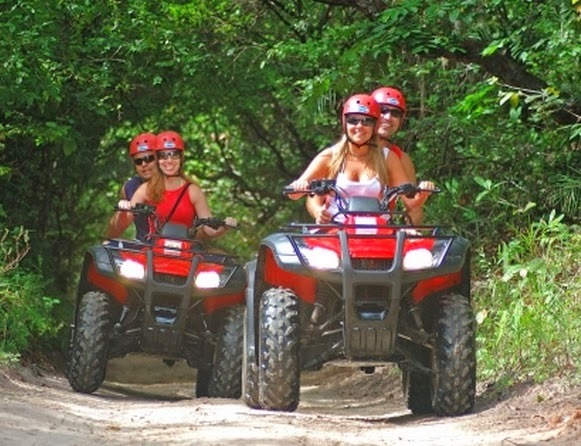 The ideal choice for couples, families and groups of friends who enjoy playing sports with varied activities all day. 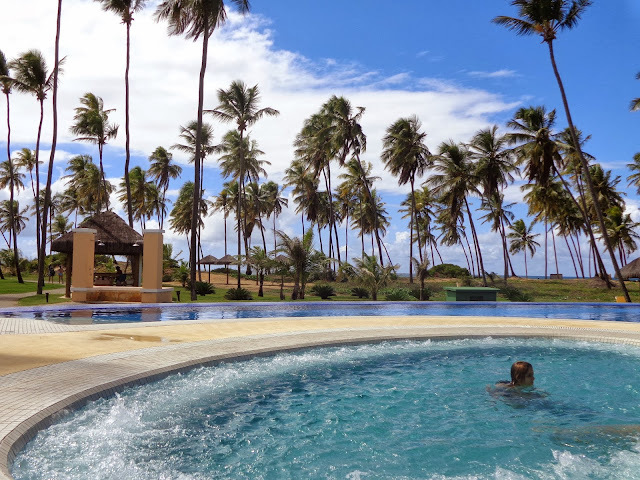 If what you seek is an option to take care of your well-being even during your vacation, Sauípe Club is your destination. 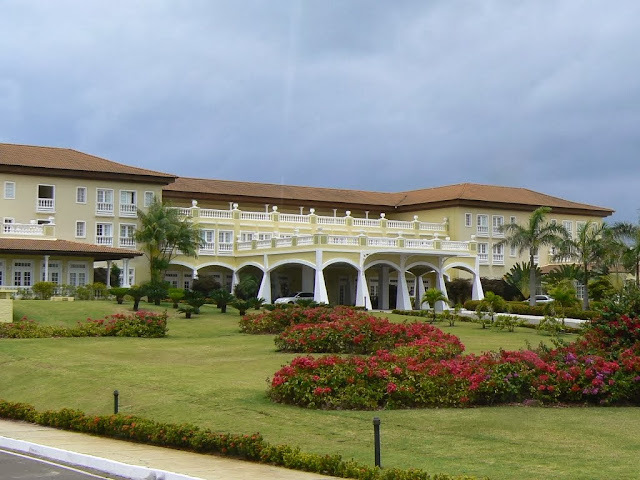 It's unique among 5 hotels that owns SPA. SAUÍPE PREMIUM: Status and unique services on your hosting! 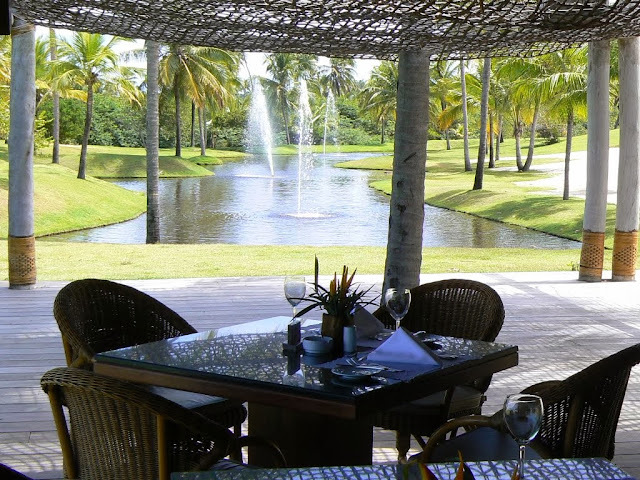 Sauipe Premium is the most sophisticated hotels in Costa do Sauipe. With rustic décor is ideal for guests who appreciate exclusive and impeccable service, cuisine of the highest international standard and "amenities" that make the stay even more special. 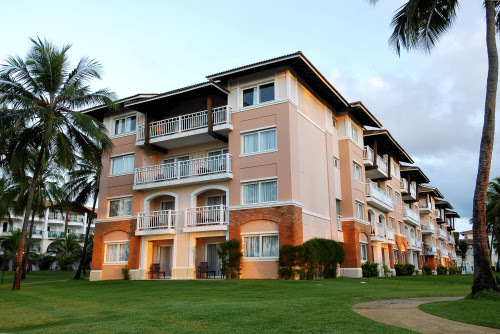 In Sauipe Premium, details, care and customization, and exclusivity are led to another standard. 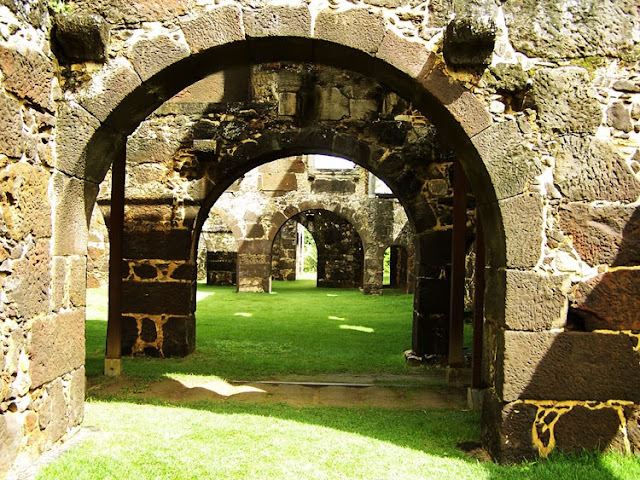 It's a coastal village 82 km north of Salvador. 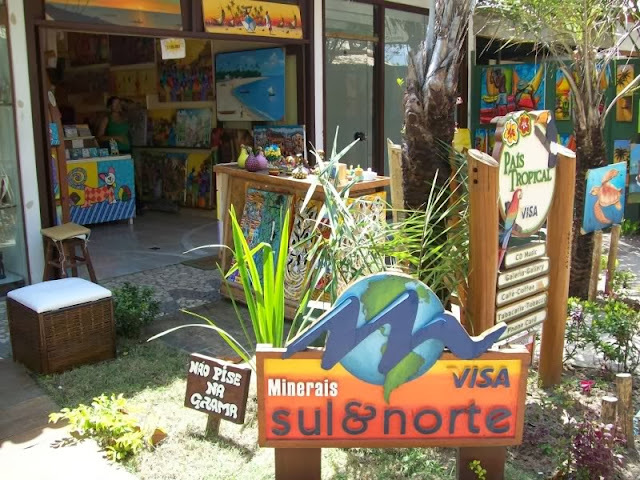 Despite being overpriced and tourist-oriented without any disguise, it is probably one of the most beautiful and pleasant spots of the Northeast of the country, and a good way to relax from the noise and crowds of Salvador. 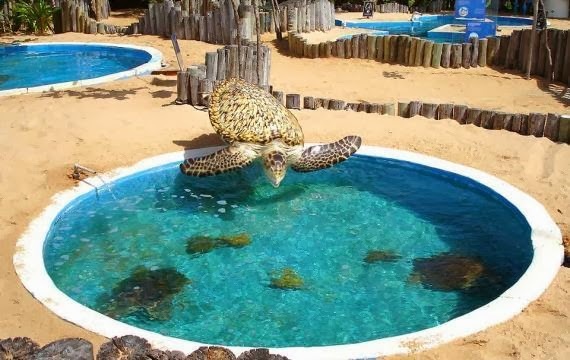 Shopping - There are many nice boutiques and they don't just sell bikinis, t-shirts and other turtle-themed souvenirs. The Beach - The beach is very nice. When the tide is out there are tide pools that are full of sea life. 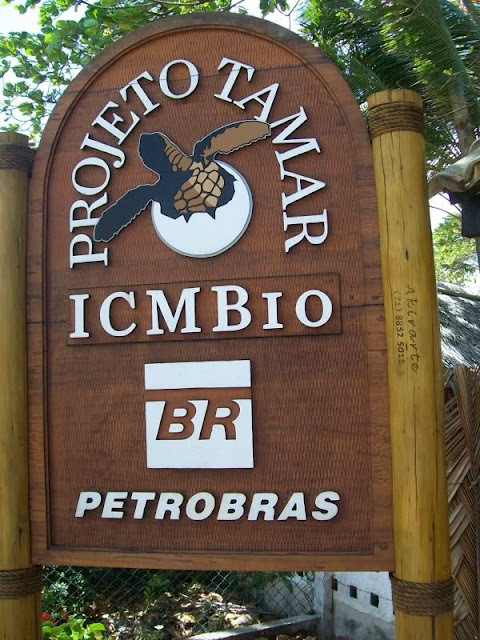 Farther down on the beach, past Projeto Tamar there is a great place for swimming. There are a lot of fish and you don't even need a snorkel and mask to see them. 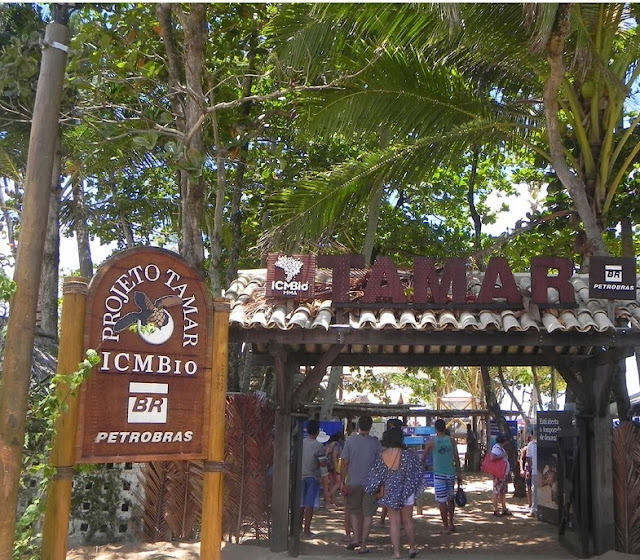 After seeing Projeto Tamar, spend the rest of the day relaxing on the beach, swimming in the ocean or exploring the tide pools. 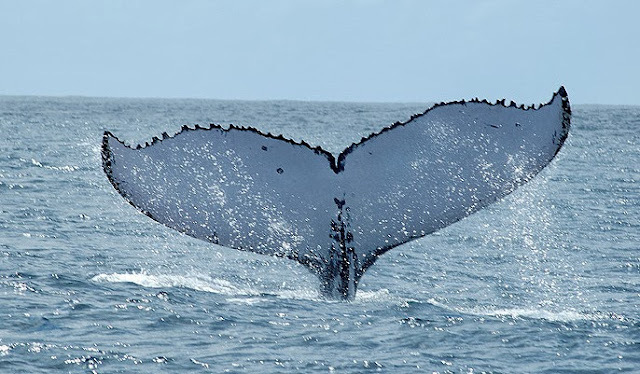 It's not uncommon to see a whale surface past the breaking waves. Sapiranga Ecological Reserve. Atlantic rainforest area just a couple of km from Praia do Forte. Lots of interesting plants and birds, but rather spoilt by the 4-wheeled motorbikes that are the latest invasive species. Horse riding. 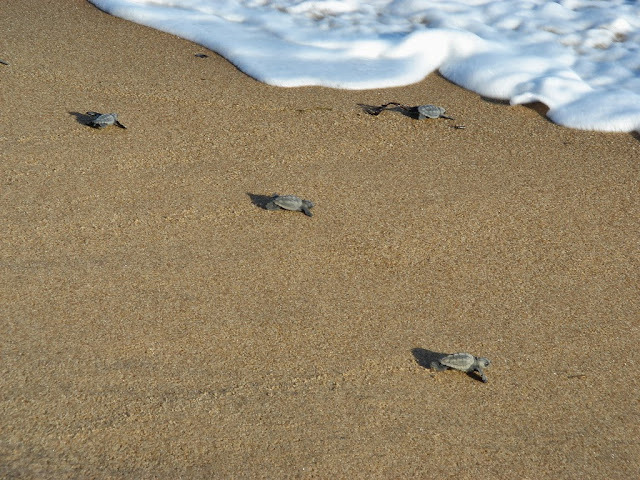 Available on the beach and for trips to Sapiranga reserve. Bicycle hire. Several good trails are available. Capoeira. You can train for example with Grupo Esporão with some great teachers as Contra-Mestre Fuampa or Professor Macaco. Castelo Garcia D'avila: A wonderful 500 year old ruined castle, one of the first Portuguese colonial settlements in Brazil. It has been very well excavated and has a little museum. It also has fantastic views of the coast and offers great photographic opportunities. 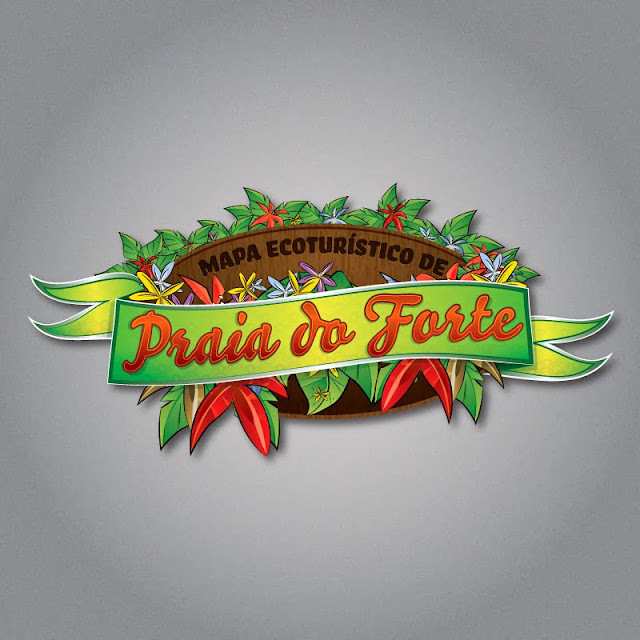 If you are going to Praia Do Forte, you should not miss this, as it is so close, about a 10 minute taxi ride. For some reason, it is not well publicized and many people never go there, so you will pretty much have the place to yourselves. 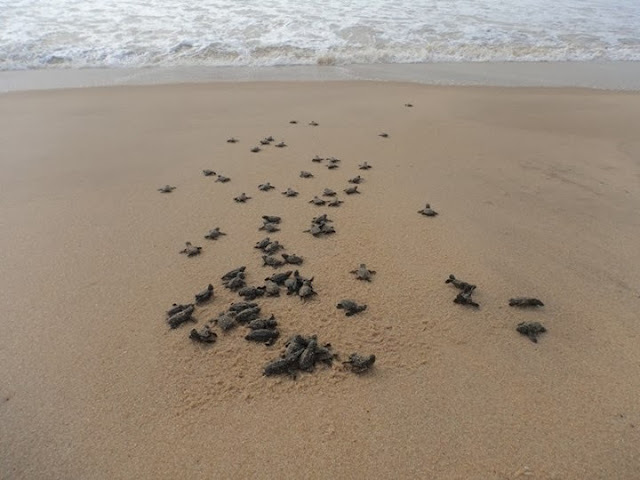 Turtles nests. 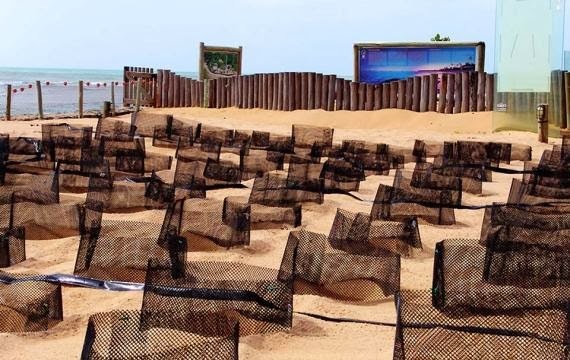 The centre collects the eggs until they hatch, then releases the babies into the sea. 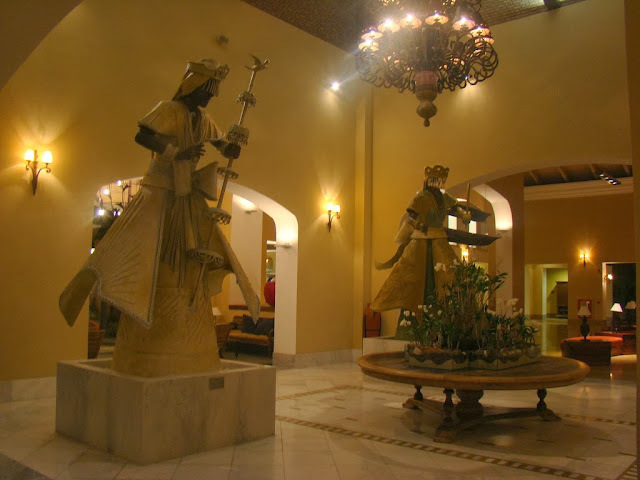 Many of the hotels and pousadas in this area seem reluctant to quote their rates on their web sites. Use the booking service on the web site to get a quote. Praia do Forte Hostel (Albergue), Rua da Aurora. 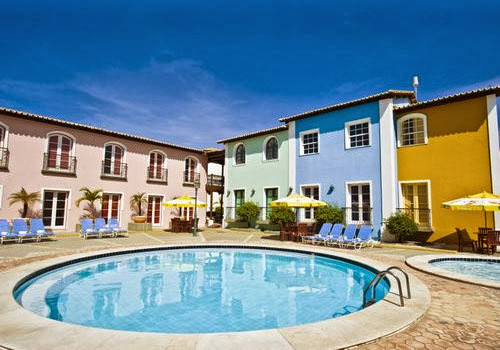 Dormitory R$40: double R$100-140, extra for air conditioning..
Sobrado da Vila, Good quality pousada in the middle of the village, with 25 rooms. Sun deck with small pool. R$320 a night for a double with breakfast. 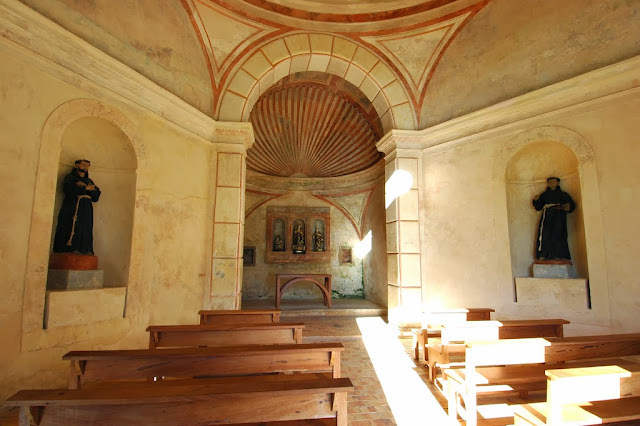 Refugio da Vila, Attractive pousada with excellent decor. 100m from the sea in the village. 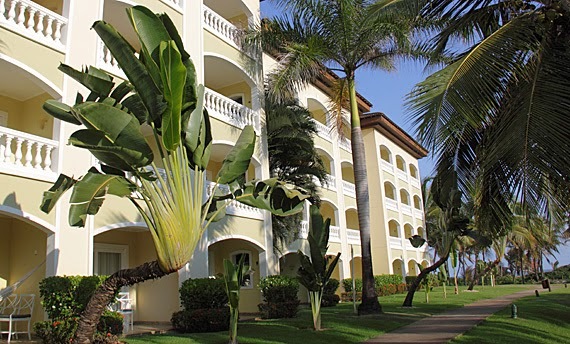 Hotel Porto da Lua, the only hotel right on the beach. Pousada Ogum Marinho, Alameda do Sol (Streets have no numbers but a distinctive sea horse painting on the wall tells you when you have arrived). 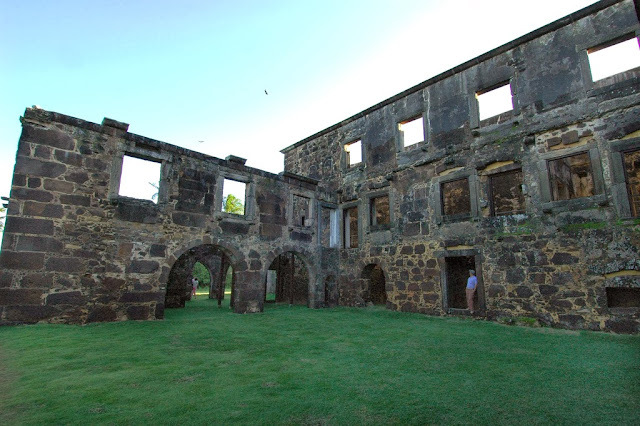 One of the first pousadas in the village. R$250 for a double. 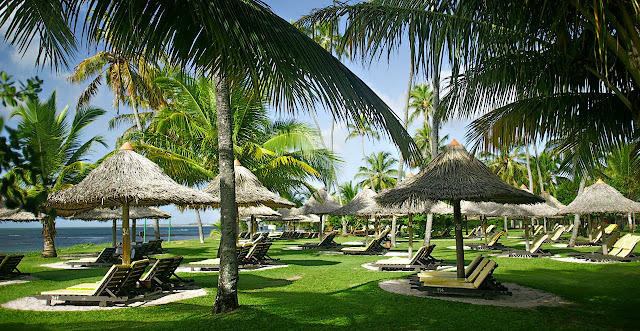 Praia do Forte Eco Resort, (500m before you get to the village of Praia do Forte). 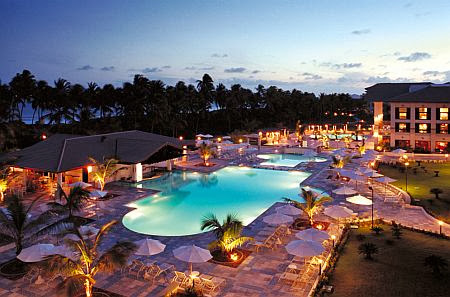 Expensive resort but one of the nicest in Brazil. Lots of things to do, many with an ecological orientation. On the beach, lots of space and many nearby walks. Popular with birdwatchers. Excellent club for children up to 11. Vast quantities of food at breakfast and dinner buffets. 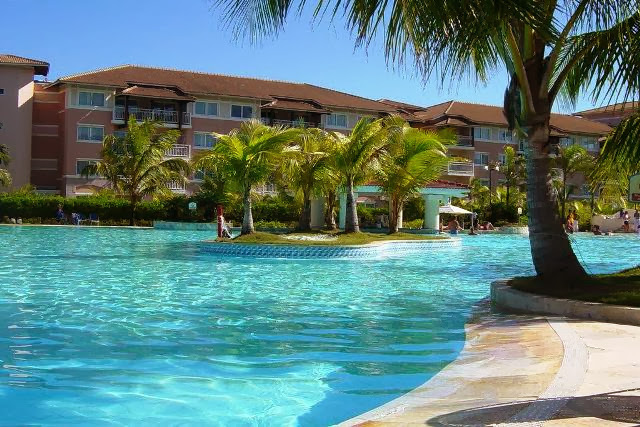 US$370 for a double inc. breakfast, dinner and most activities. If you have flexibility try negotiating by phone when you arrive in Brazil. 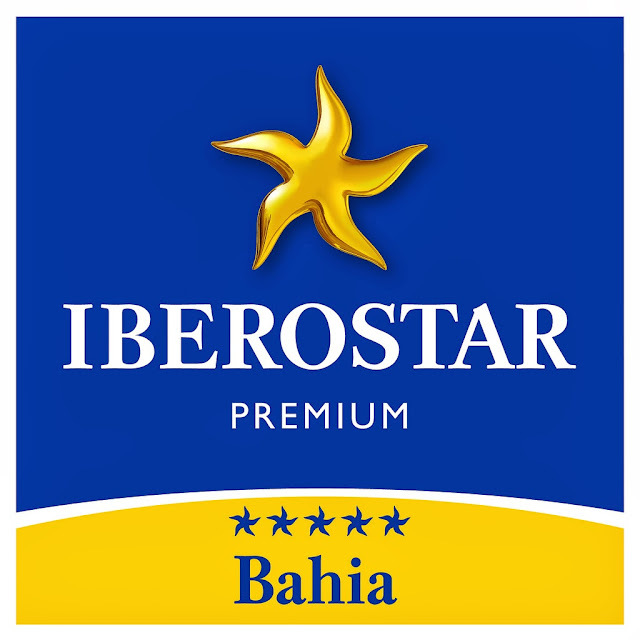 Iberostar Bahia, (just north of Praia do Forte town.). Massive, new hotel on the beach with 632 rooms. Already receiving good reviews. All-inclusive rates, including the entitlement to raid the mini bar. US$250+ for a double. 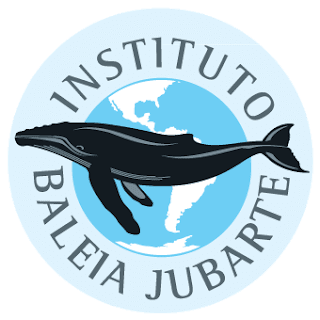 Created in 2000 with the objective to monitor and conservation of humpback whales (whales = baleias, in Portuguese) the Institute based in Praia do Forte consists of a team of biologists prepared to receive these distinguished visitors , arriving from escaping the cold Antarctic waters in period from July to October . 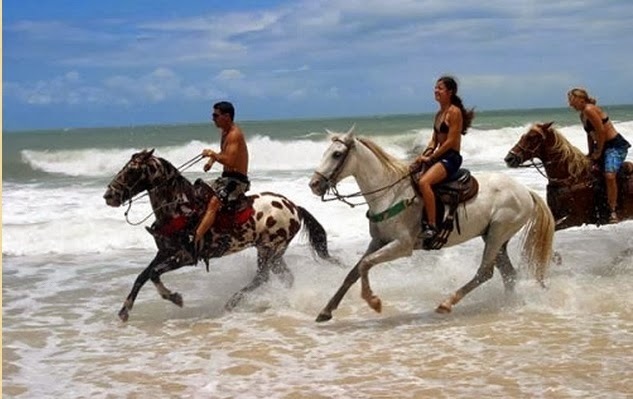 Praia do Forte has become an area of ​​concentration and reproduction of these mammals . 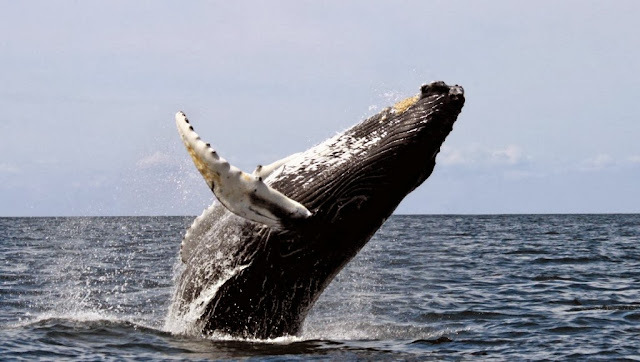 During " baleiada " activity developed for sighting these animals at sea , visitors have the opportunity to observe beautiful stunts with whales that reach up to 16 feet long and 40 tons , a true spectacle of nature in Bahia coast. 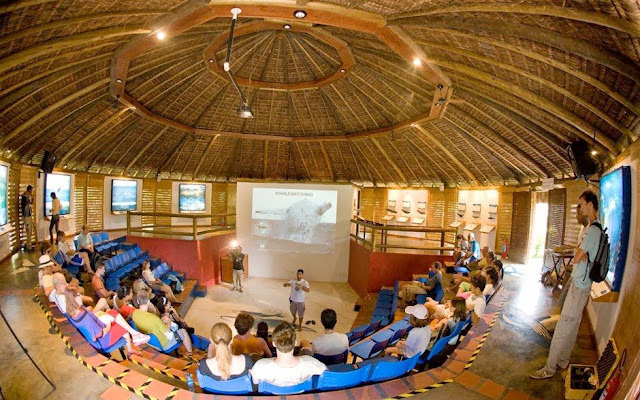 Before the tour, lectures are given , where it is possible to obtain information on the mammal , such as habits, behavior and curiosities . 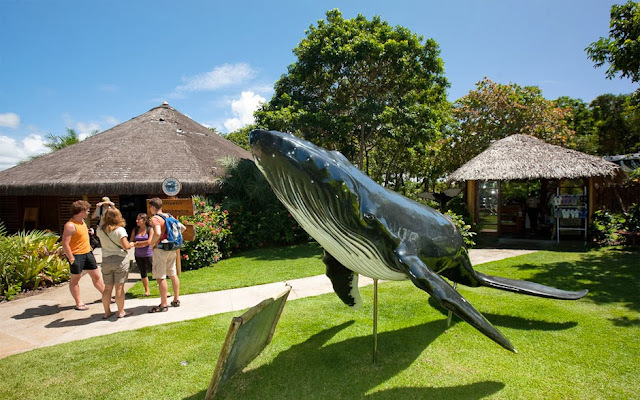 Inside the Humpback Whale Institute is also available for a museum visitation. The Institute operates from Tuesday to Saturday at 12a.m. to 6p.m., including holidays.